OS X El Capitan (el-kap-i-tan) (version 10.11) is the upcoming twelfth major release of OS X, Apple Inc.’s desktop and server operating system for Macintosh computers. It is the successor of OS X Yosemite and focuses mainly on performance, stability and security. Following the California landmark-based naming scheme introduced with OS X Mavericks. If you want to play Blu-ray disc, folder or ISO file on your Mac OS X 10.11 El Capitan, it will be not as simple as inserting a DVD into Mac and then waiting for Mac to play movies automatically. Mac Blu-ray player software is necessary. Mac El Capitan Blu-ray Player from UFUSoft, the perfect companion for Mac is a good choice to help you play and watch HD Blu-ray movies on Mac OS X 10.11 El Capitan, OS X Yosemite, OS X Mavericks, Mac OS X 10.8 Mountain Lion, Mac OS X 10.7 Lion, Mac OS X 10.6 Snow Leopard, Mac OS X 10.5 Leopard, etc. Aside from Blu-ray disc files, this UFUSoft Blu-ray player Mac El Capitan software can play Blu-ray folder and Blu-ray iso image, etc on Mac OS X 10.11 without any obstruction. You can also use this powerful media player software to play HD video files and music smoothly. So how to play Blu-ray Disc/Folder/ISO file on Mac OS X El Capitan? This tutorial will show you the detailed operation step by step. Step 1: Download and install Blu-ray Player software on Mac El Capitan. 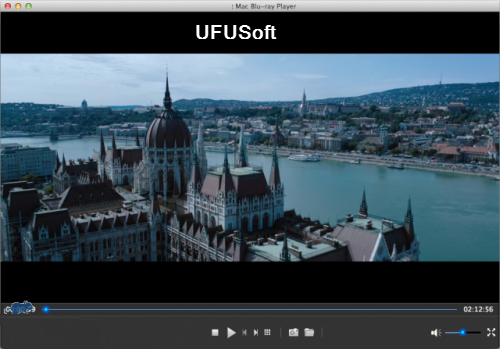 Download and install UFUSoft Blu-ray Disc/Folder/ISO player for Mac El Capitan. Run this Mac El Capitan Blu-ray player software. Step 2: Insert your BD into the Blu-ray driver. 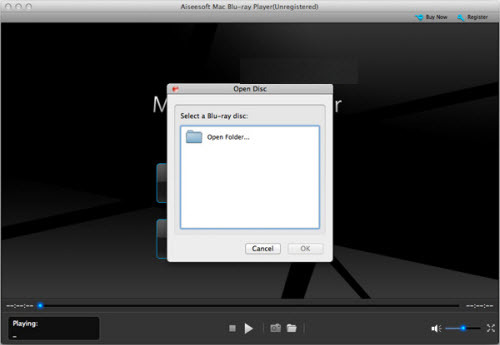 Download and install the UFUSoft Mac Mavericks Blu-ray Player. Then Run the program and two buttons are in the middle of the interface: “Open File” and “Open Disc”. Click on the ‘Open Disc’ button and select the BD in the pop-up dialogue. And if you want to load Blu-ray Folder to the program, just Click “Open File”. Tips to Play Blu-ray ISO: Double-click the Blu-ray iso image file you want to play, which will create a folder containing the iso file on your desktop. Click “Open Disc” to load the Blu-ray iso image file in the folder. After that, you will see a menu list containing Play Movie, Chapter, Audio, Subtitle and Other Titles. You can choose “Play Movie” to play the main movie directly on OS X 10.11 El Capitan.